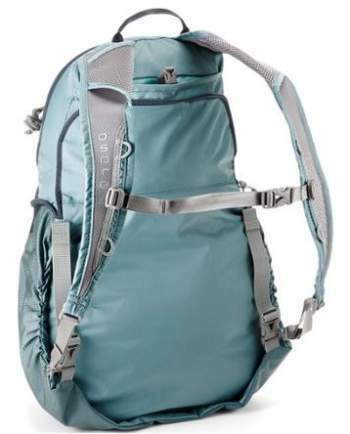 Osprey Ariel AG 65 pack for women is so-called anti-gravity version of the celebrated Osprey’s pack, launched in the beginning of 2017. This series includes also packs of 55 liters and 75 liters. The packs from this series are ultimate backpacking tools with extraordinary features. 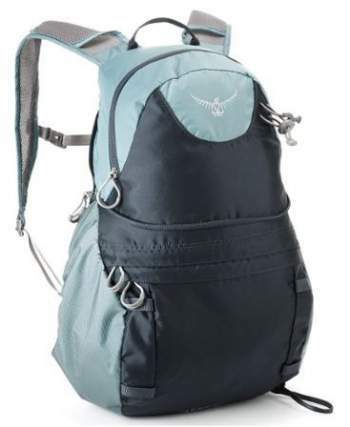 Osprey Packs Women’s Ariel AG 65 Backpack. Top lid converts to a fully functional daypack. The Ariel AG 65 is mid-size in the series of three packs. The number 65 describes it official volume, but within this size, you really have four different sizes/volumes, 59, 62, 65, and 68 liters. This also includes 4 different sizes XS, S, M, and L for the harness and for the hip belt. In addition to this, its harness is also adjustable. This is a top loading pack with a removable lid and the collar underneath it, but it has an extra access point on the front. Internal reservoir sleeve is with a buckled loop to clip the reservoir and to keep it upright, see more about it below. There is a bottom compartment with the usual zippered entrance. The divider between the main compartment and the bottom section is collapsible. The pocket organization is standard and you have 7 pockets in total. Two stretch mesh pockets are on the sides, dual zippered pockets are on the hip belt, there are two pockets on the lid, and one very large pocket is on the front. This AG system is quite different from their starting design used in the Atmos and Aura series, so this is not the continuous seamless mesh which you have in the original AG design. I see this as one variant of the AG system, yet another one is introduced in their Stratos and Sirrus packs, you can see it in my another text. But the tensioned mesh on the back of Ariel AG 65 looks really cool. The frame of the pack is a LightWire peripheral aluminum alloy structure. The hip belt ISOFORM 5 CM is with custom heat molding and it is interchangeable. So after you choose your best fit at the moment of purchase, it will mold naturally by your body heat to fit you perfectly. The same is with the ISOFORM 5 AG mesh harness, which is also interchangeable and you can choose one of 4 sizes. So both the harness and the hip belt have some break-in time and they accommodate and form to your body shape after a few wears. But you can speed this up if you wish because good outdoor shops usually have an Osprey’s oven for this purpose. We have it in our local shop in Belgium. It is a simple box of the size of a micro oven, see it in the video below. Family members or partners can use the same pack, but they may use their own specific (molded) hip belt and harness to ensure a perfect fit. I mentioned this attachment as one of the bonuses above. On the front of the pack, you have two vertical flaps with horizontal straps, this is the part of what they call dual front compression system with StraightJacket compression. When you undo them, you will see that underneath the flaps there are 4 attachment loops. These loops are there to attach Osprey Daylite pack, which itself is designed for such a purpose and it can be added to many of Osprey’s packs. When the Daylite pack is attached, you can additionally secure it with the mentioned straps. Contrary to the previous Aether version where you have the removable lid that serves as a lumbar pack for short tours, in the new version you have a fully functional backpack which they call the DayLid daypack. It is with 16 liters of volume. Weight: 12.3 ounces (349 g). 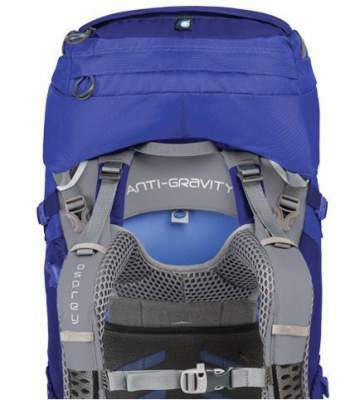 Since this pack is the lid itself, the attachment loops that are normally on the top of the lid, are now on the front of this daypack, so imagine, you have 4 extra attachment points of course. When the lid is removed you have an additional flap with buckles to close the big pack properly. So it again looks like a normal top loading pack, yet considerably shortened and lighter for 349 grams. There are four webbing loops on the lid, two big attachment loops are on the bottom and those are paired with bungee cords higher up, so you can attach two ice axes. Dual removable compression straps are on the bottom. The pack comes with Osprey’s Stow-on the-Go trekking pole attachment system. This is useful to have when you need free hands on the fly, to take a photo, to eat and drink something, or when you have some scramble to do. On the sides, you have dual compression straps. The lower of the two are with the InsideOut features. This means they can be routed inside (to compress the pack when not full to ensure its stability), or over the side mesh pockets (to secure items in them). On the front, you have the already mentioned StraightJacket compression straps and two vertical flaps. The space behind the harness is not reservoir sleeve. Details on the waist belt. A bit on heavy side. In the table below I show the Ariel AG 65 side by side with two other top-rated packs for women from the same size range, it is in between them regarding the volume. Obviously, it is a bit heavier, please follow the links to see more features and to check for the updates about the prices. In the description of the pack on Amazon, there is no rain cover mentioned. So it is possible that the cover is not available there. However, in my local shop in Belgium, the Aether & Ariel AG packs are with the rain cover stored in the top lid pocket. You can see the pictures here. Equally confusing is the issue of the hydration sleeve. Even in the Osprey’s video given here in the text, there is a statement that the pack comes with an external hydration sleeve. However, I have had these packs in hands and can confirm that there is no external sleeve in this pack. Of course, there is some space behind the harness, but this is not a water bladder sleeve. If you put anything there, you will not have proper ventilation on the back. Besides, there is no hook or loop to attach anything there, so whatever you put will slide all the way down to the lumbar zone. 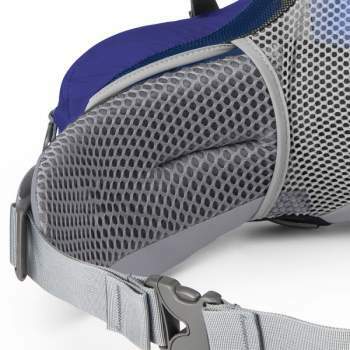 The pack available on EU market is with standard internal hydration sleeve, with a hook on the top, but this true sleeve is nowhere mentioned in Osprey’s site. Instead, they mentioned the “external” sleeve, both in the description and in the video. “Hi Jovo, thanks for your inquiry. I understand that in the images there is no clip showing in order for the reservoir to be hooked onto. However, this pack does have this loop and does enable you to attach your reservoir to it and use the external hydration sleeve. I am sure there is no hook or loop. If you put a water bladder in that space behind the harness, you will have only the mesh between your body and the bladder which will be completely on the bottom, behind your lumbar zone. You will have no ventilation at all. 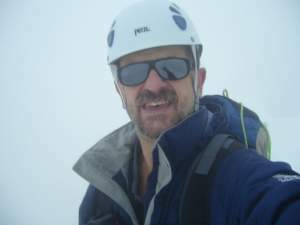 Purpose: backpacking, mountaineering, thru-hiking, travel. – XS: 59 liters (3600 cubic inches). – S: 62 liters (3783 cubic inches). – M: 65 liters (3967 cubic inches). – L: 68 liters (4150 cubic inches). – XS: 2.16 kg (4 lb 12.2 oz). – S: 2.23 kg (4 lb 14.6 oz). – M: 2.32 kg (5 lb 1.9 oz). – L: 2.39 kg (5 lb 4.5 oz). – XS: 14 – 17 inches (36 – 43 cm). – L: 20 – 22 inches (51 – 56 cm). – XS: 24 – 28 in (61 – 71 cm). Maxium pack dimensions (H x W x D): 31 x 15 x 12 in (79 x 38 x 30 cm). LightWire tensioned, full peripheral frame. Colors: 3, see the pictures. To summarize, with the Osprey Ariel AG 65 pack for women and with the whole Aether & Ariel AG series Osprey has built one of the most sophisticated backpacking tools. The convertible lid is beyond comparison with any other pack on the market, a complete perfection. 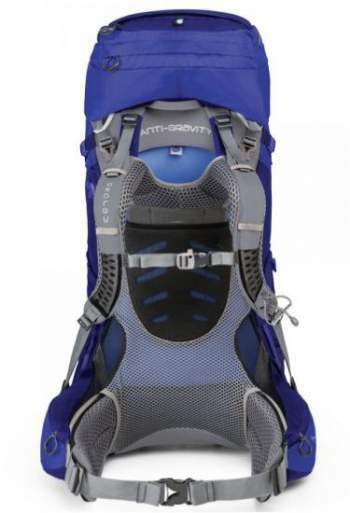 Note that they also have the Pro version, the Osprey Ariel Pro 65 Pack for women. I summarized the comparison of the two packs in my separate text. I have some concerns regarding the suspension and ventilation, but the time will show how this system really works in practice. If this pack is too big for you, please see the smaller Ariel AG 55 described in my another text. The corresponding packs for men are Aether AG 70 and Aether AG 60, both described in the site, so please have a look. You might want to compare this pack with yet another top-notch tool mentioned in the comparison table above, the new 2018 Gregory Deva 70.